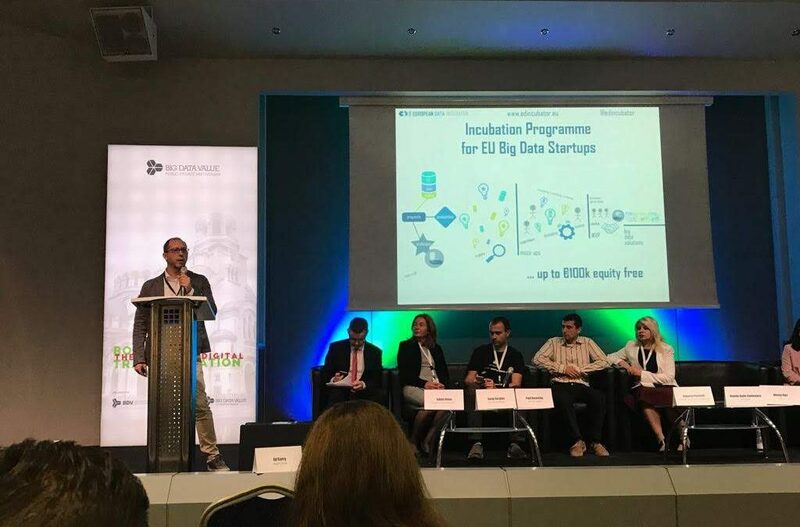 European Data Incubator (EDI) was invited to participate at the BDV Meet-up in Sofia the 14th-16th of May. 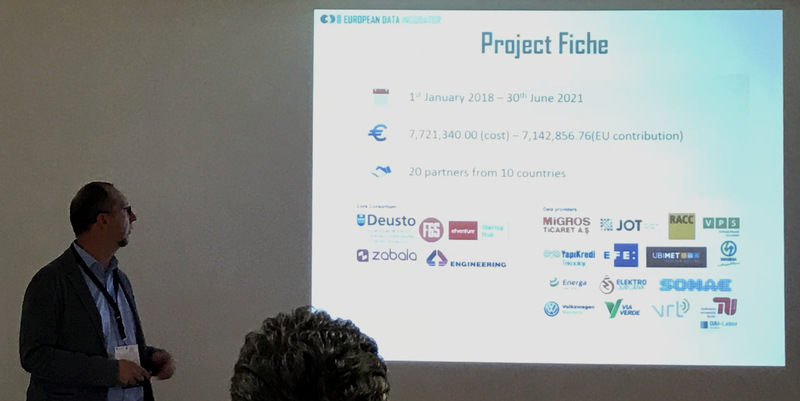 The first day of the event, during the workshop titled “Towards a Federation of European Data Spaces” Davide Dalle Carbonare (Senior Researcher at Engineering, EDI partner) had the opportunity to present in detail the incubation programme dedicated to the European data innovators. That was an interesting opportunity to start the discussion with the i-Space community and share the vision with concrete experiences already in place. The third day of the event was devoted to an open conference with talks and panels. In this context, Davide Dalle Carbonare presented the EDI offering in front of a number of Bulgarian stakeholders representing local startups, SMEs and innovation ecosystems. During the panel interaction, there was time to discuss about the main challenges to run such kind of programmes and especially those related to the involvement of data providers. The topic of data sharing is still one of the crucial aspects, at the core of data economy, that requires the proper attention and specific actions in order to obtain fruitful results and an overall mindset change.